At North Birmingham Academy we believe that students should be given a wide range of opportunities to develop and practise leadership skills in preparation for life beyond school. 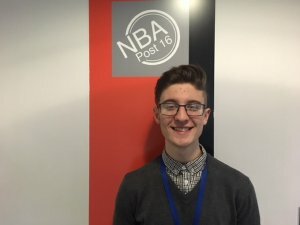 It would be impossible to list all the opportunities students have to take on leadership roles at the academy so this is just a flavour of what is currently on offer developed as the result of a group of students, teachers and support staff working together to identify what is right for the academy. Many Student Leadership activities will focus on improving the quality of learning and teaching in the classroom, supporting the school’s aim to be a place where everyone enjoys learning and is creative – trying new things, finding solutions and embracing their responsibilities. The student leadership group consists of a Head Boy and Head Girl in each year group. They are responsible for making key decisions within the academy. Over the last six months the student leadership group has redesigned the sanction and rewards system, made key decisions on Academy uniform, helped to change the schools policy on culture and ethos. The student leadership group is led by two sixth form students. With current head boy and head girl. To enable creativity to flourish as the academy community benefits from the wealth of experiences, ideas, skills and sense of fun that students bring. My name is Soren Austin and I am Head Boy of North Birmingham Academy. I achieved all A’s and A*’s grades at GCSE and I hope to achieve similar results in my A-Level subjects Maths, Chemistry, Physics as well as in BTEC IT. I have been Head Boy (of my previous year groups) several times in the past in addition to being a Prefect every year so I am confident in my ability to be an effective Head Boy and to help maintain the high standards and expectations of the Academy. 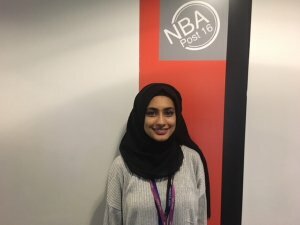 Being Head Girl of North Birmingham Academy provides me a with an opportunity to take on a number of new responsibilities, offering me a clear career passion, which for me is politics. This has complemented my choices for A-Level subjects English Literature, Geography and Sociology. Studying at North Birmingham Academy has offered me numerous opportunities that have enabled me to shape my future towards Political Science, as well as many other courses. Through sixth form I have developed multi-tasking skills which enable me to aim higher and to work at my utmost ability. My extra-curricular activities include public speaking and social activism, and I have a suitable social place to establish this in sixth form. The head authority group at North Birmingham Academy conduct meetings that assess the development of the school and always look for room for better improvement. This allows us to manage decisions at the most sustainable level, and will be maintained for the future. 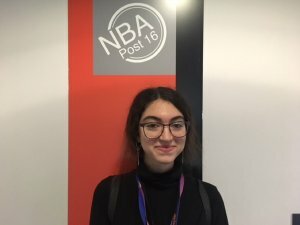 My name is Kani Kader and I am North Birmingham Academy’s head girl of year 13. The subjects I do for my A-levels are Psychology, Sociology and German A Level. I am an outgoing and friendly girl who likes to make bad jokes and make new friends all the time. I moved to England in 2011 and I had to overcome language barriers which is why I like to look out for international students that might have issues with settling in. Keeping up to date on current affairs and spreading awareness on issues is what I like to do in my spare time and I want to ensure my peers are also informed. Sixth form has been so beneficial for me in terms of getting support from teachers and being treated like an adult rather than a student which I think is really helpful and allows me to become more independent.